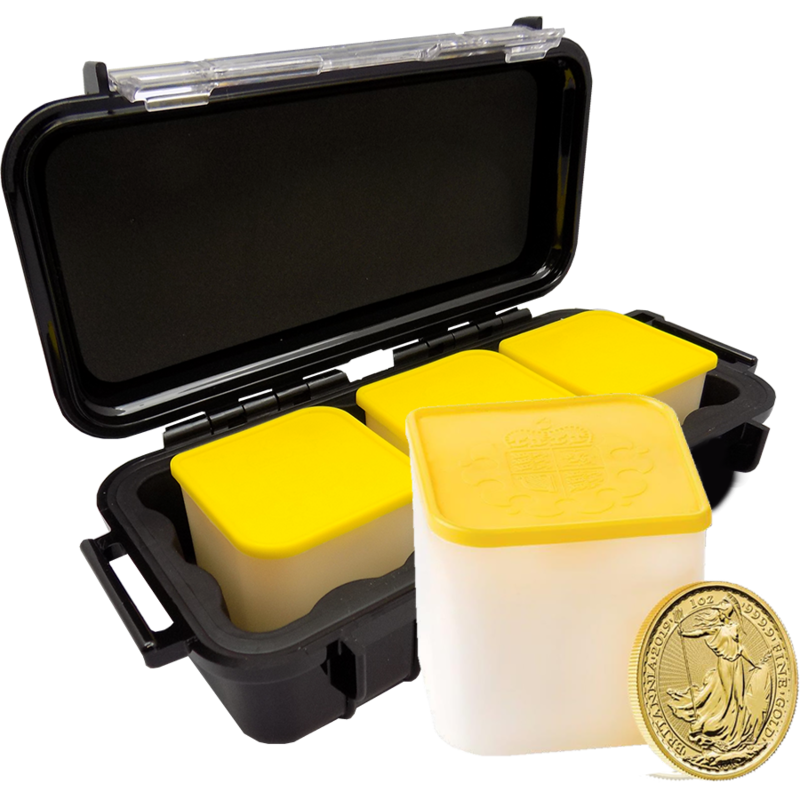 This 2019 UK Britannia 1oz Gold Coin Mini Box includes 30 gold coins in 3 tubes supplied with a 1030 Peli Case. Each coin features the image of Britannia on the reverse of the coin, including radial lines which adds security to the traditional design. Details of the coin's weight, fineness and year-date also feature. 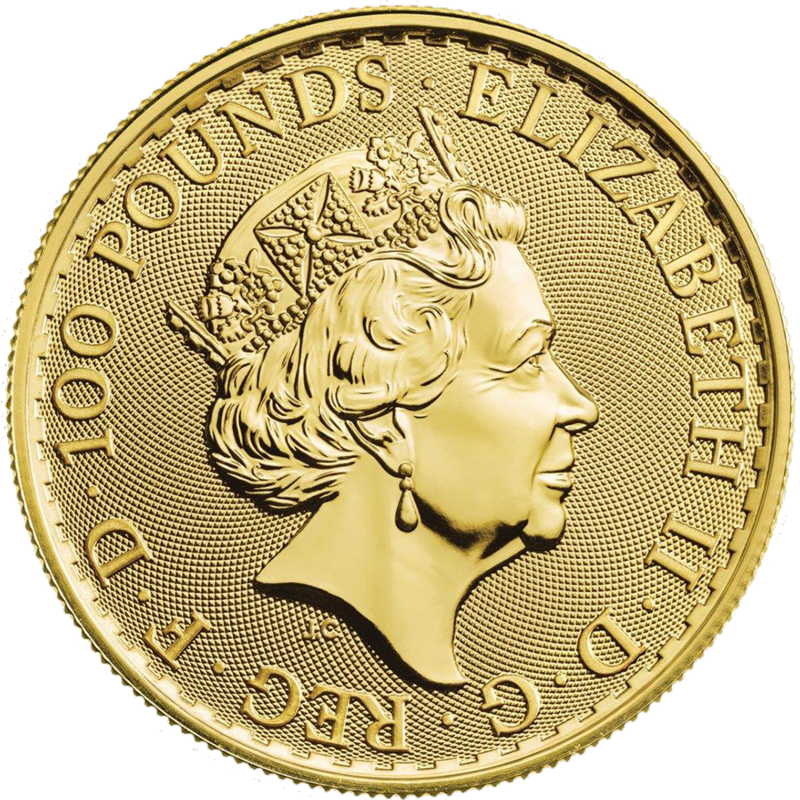 The obverse design depicts the fifth portrait of Queen Elizabeth II, and the monetary denomination of £100. Each coin has a high-security radial sunburst background. Coin dimensions: Diameter: 32.69mm Thickness: 2.80mm. 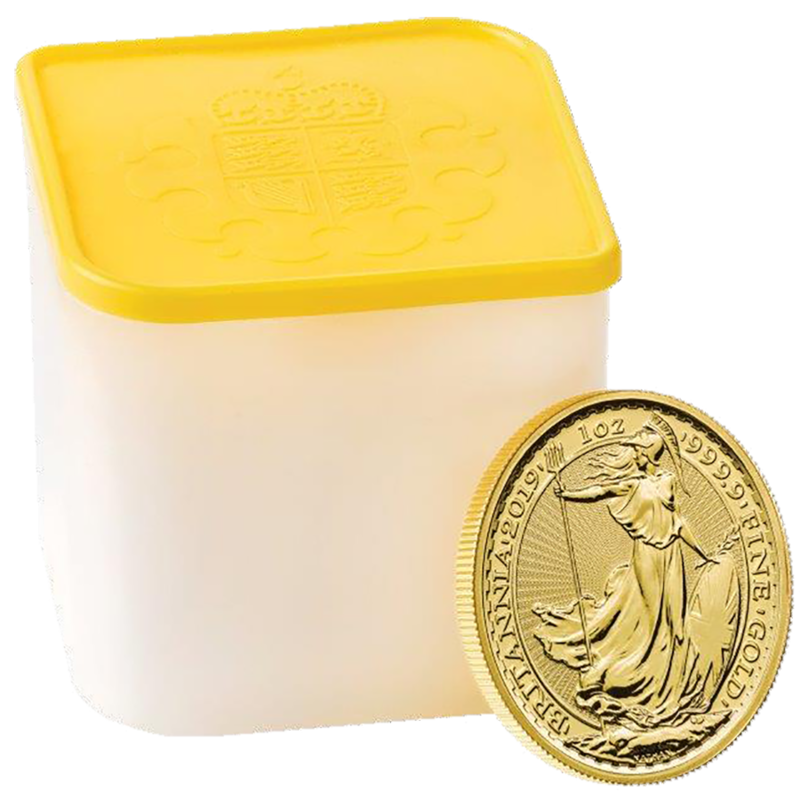 Britannia gold coins are British bullion coins issued by the Royal Mint since 1987. 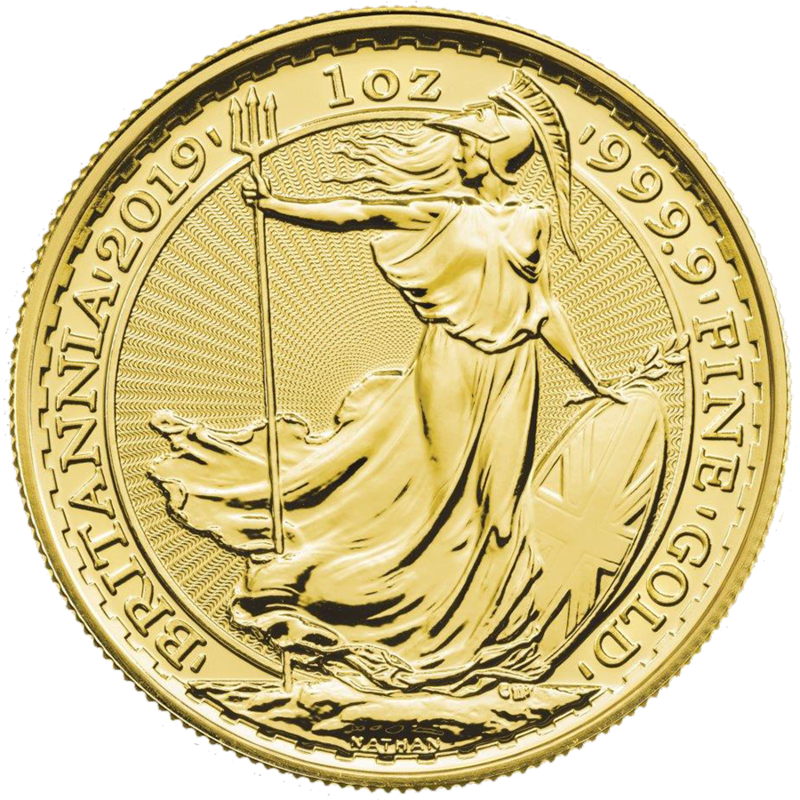 Up until 2013 Britannia gold coins were produced in 22ct (916.7) the non-gold component being copper until 1989 and silver from 1990. 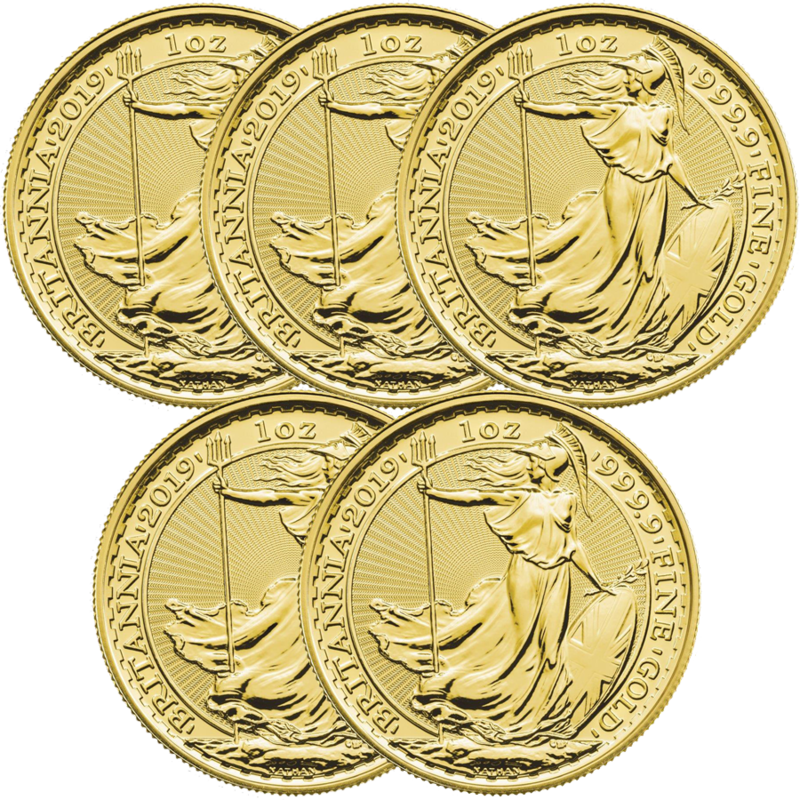 As of 2013, Britannia gold coins have been produced in a fineness of 999.9. 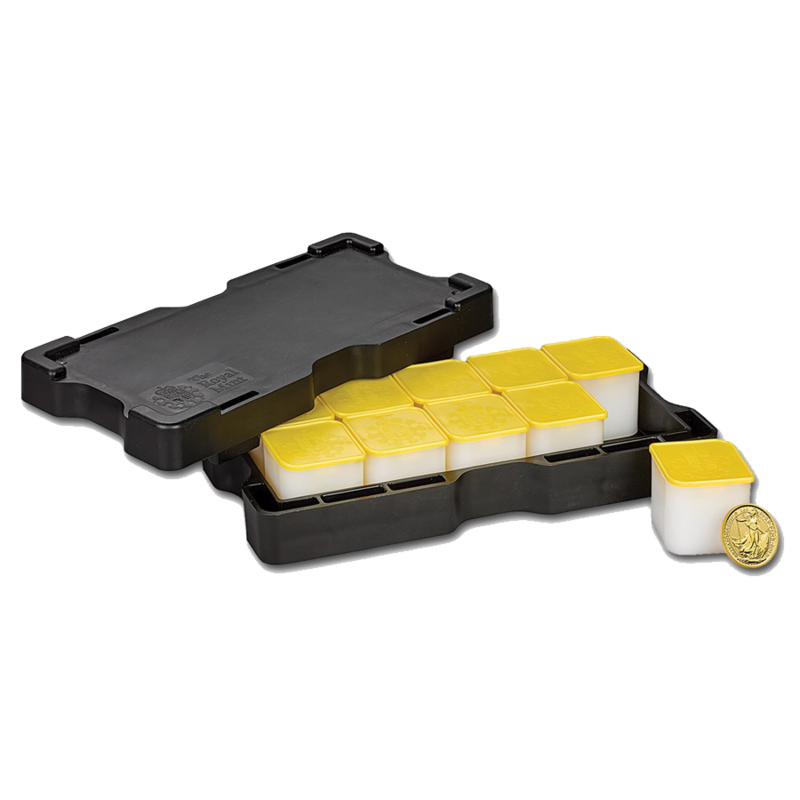 The 1030 Protective Peli Microcase is a hard plastic protective case ideal for storing your bullion investment. It features automatic pressure equalisation valve, carabiner, rubber liner and is scratch resistant.